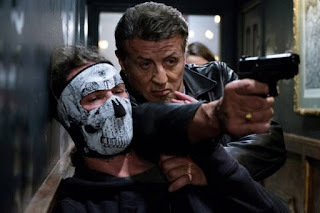 Years after Ray Breslin (three-time ACADEMY AWARD© nominee and GOLDEN GLOBE© winner Sylvester Stallone) fought his way out of the escape-proof prison called "The Tomb," he's organised a new top-notch, for-hire security force that includes some of the best in the business. But when one of Breslin's team goes missing – inside a computerised techno-terror battle-maze known as HADES, where human combatants brawl like beasts – Breslin goes back into the secret lock-up to save his friend. To attempt this near impossible mission, he enlists his old friend Trent Derosa (Dave Bautista) and the returning surveillance expert Hush (Curtis '50 Cent' Jackson), to help him return from the gauntlet with both his friend and his life. Following on from the success of the first film in 2013, Escape Plan 2 aims to build on the story and characters that connected so well with action movie fans the first time around, elevating them to a whole new white knuckle ride into the dystopian land of the dead. With some of the action genre's biggest hitters coming together, Escape Plan 2 promises audiences one hell of a ride.